Where is it Legal to Make Moonshine? Below is a list of each state’s law’s regarding the production of moonshine simply click on your state to see the applicable laws. Don’t worry Canadian’s I didn’t forget about you. If your from Canada visit our post learntomoonshine.com/is-it-illegal-to-make-moonshine-in-canada for detailed information about provincial and federal laws surrounding the production of Moonshine for personal use. Can a Still be Legally Owned According to Federal Law? According to federal rules, stills of any size are legal to be owned if not being used, nor intended to be used, to produce alcohol. In other words, if a still is only being used to filter water or make essential oils and these actions do not involve the distillation of alcohol, a still of any size is perfectly legal to have, according to federal rules, and no permits are required. Additionally, distillation equipment can be used to distill ethanol if the still operator has a federal fuel alcohol permit. The permit is free, is easy to obtain, and is available here: http://www.ttb.gov/forms/f511074.pdf. The federal TTB has the authority to ask distillation equipment manufacturers to collect and report customer information. Our interpretation of reporting requirements is that we sell copper sheet, pipe, fittings, not stills. The parts and products sold by Clawhammer Supply, as they leave our door, are incapable of being used to separate alcoholic or spirituous vapors, or spirituous solutions, or spirits, from spirituous solutions or mixtures. Additionally, the parts could not be used to construct a complete, functional still without significant modification (by the purchaser) and the inclusion of several additional parts (that we do not provide), such as copper tubing, hose, clamps, gaskets, solder, flux, welding wire, additional piping, etc. However, we cannot guarantee that the TTB will agree with our interpretation of federal statutes. It is possible that the TTB could label us as a “distillation equipment manufacturer” and force us to supply customer information. However, we are not currently reporting to the TTB. What Will the TTB Do with This Information? The Federal TTB (Alcohol and Tobacco Trade and Tax Bureau) is in charge of making sure individuals are not producing their own alcohol for consumption or fuel alcohol without proper permits. As stated above, it is legal to own a still to produce distilled water. Additionally, it is legal to produce fuel alcohol on the federal level with a federal fuel alcohol permit. When is a Still Illegal to Possess? Can a Still be Legally Owned According to State Law? Rules on distillation vary from state to state. However, in alignment with federal rules, it is illegal to produce alcohol for consumption or for fuel, on the state level, without proper permits. Make sure to check your state requirements for ownership and operation of distillation equipment before purchasing a still. Regarding state and Federal laws: All State statutes and regulations are subject to existing Federal law; some States expressly make their licensing process subject to the applicant having obtained the necessary Federal permits or licenses and subject to Federal reporting requirements and other States do not; such Federal requirement, if they apply to the situation, would still be in effect regardless whether the individual State law made reference to them. 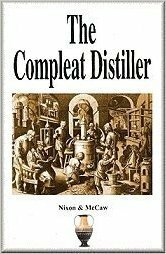 Additional information regarding State and Federal distillation law: The information, provided on this website, was gathered through online research. It should be noted that statutes can be amended, modified or even repealed, at any time and often there is a significant delay before the amendments and modifications are shown online. In addition, many of the license and permit fees, listed above, are subject to change by the licensing board or agency, and the updated fee changes can also take substantial time to be posted online. When applying for particular State license or permit, or when paying a State licensing or permit fee, or when relying on other information contained herein, a detailed check of the State’s records for updated information is suggested (See below). The information gathered is primarily directed toward the legality of stills and distillery equipment, and the availability of licenses or permits for their use, and no detailed research was made, nor references are given, as to other requirements that a State may make after a license or permit is issued, such as annual report filing, tax payments, bond or license renewals, deadlines, inspections, etc. When applying for particular State license or permit, or when paying a State licensing or permit fee, or when relying on other information contained herein, a detailed check of the State’s records for updated information is suggested (See below). The information, data and references, set forth above, are provided for informational purposes only are not intended to be relied upon by any person, or entity, as a legal basis for any act or decision whatsoever. None of the information provided above is intended to give specific legal advice to any person, or entity, residing in any specific State. Any person desiring to obtain, or make application for, any of the Licenses or Permits described above, or to own, possess, buy or build a still or other distillery equipment, should, prior to obtaining, or making application for, any such License or Permit, or owning, possessing, buying or building a still, or other distillery equipment, obtain the services of an attorney located in such State and have said attorney search that State’s records for updated and current statutory authority, existing tax and licensing regulations and other information. This info was collected from http://www.clawhammersupply.com/ thanks for allowing us to use it.